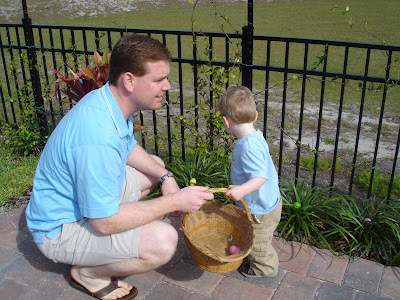 Reilly had an Easter egg hunt that I got to go to on Sunday! 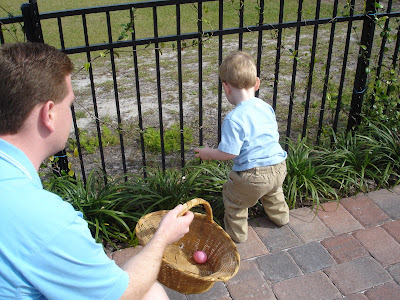 This was both mine and Daddy's first Easter egg hunt. I was doing great until I fell and all my eggs broke. 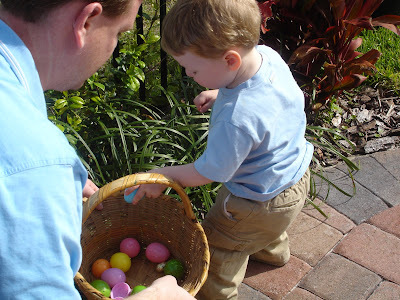 I still got about a dozen eggs though! 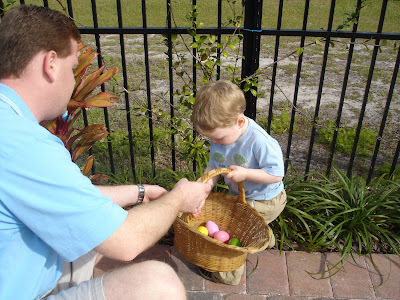 After the egg hunt, we had a special brunch that Reilly's mommy made. It was delicious! Thanks for inviting me Reilly! 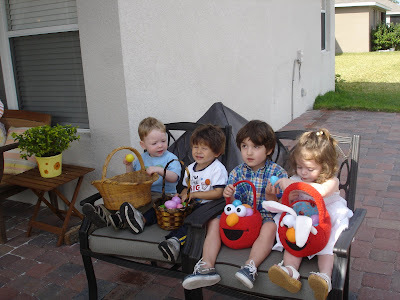 Mason's basket is humongous compared to everyone else's! I'm so glad you came Mason - it was so fun having you there!